Found a bug? Submit a bug report. Have a question or feedback about Sumatra? Use the forum. 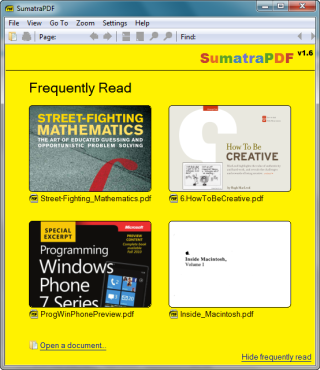 Want to help translate Sumatra? See this translation guide. We also have a quickstart manual and extensive documentation with more information. Are you a developer? The source code is on GitHub.